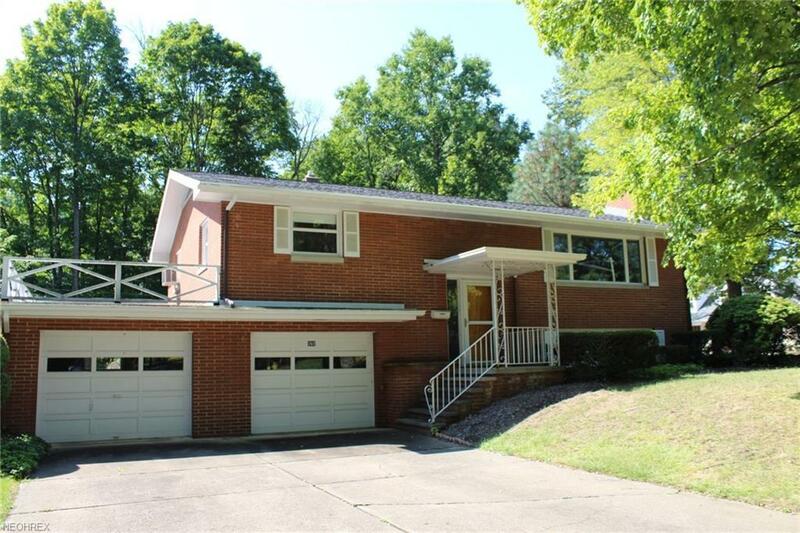 Attractive Brick bi-level home in established neighborhood. 3 bedrooms, 2 1/2 baths. Featuring large windows and ample natural lighting.Living room with hardwood floors and library/ den. Solid hardwood paneling through out entryway and family room. All interior doors solid/custom. Remote controlled ceiling fan/light in main vaulted entry and master bedroom. All bedrooms and hallway have hardwood flooring throughout. Galley kitchen with breakfast bar, dining area with Bruce hardwood parquet flooring extending into adjacent family room with attractive gas or woodburning fireplace and ample natural light. Both gasified fireplaces are thermostatically remote controlled. Four season Florida room has access to outdoor concrete patio w/enclosed wall storage. Attached heated double garage with glazed tile walls. Asphalt roof under two years old.